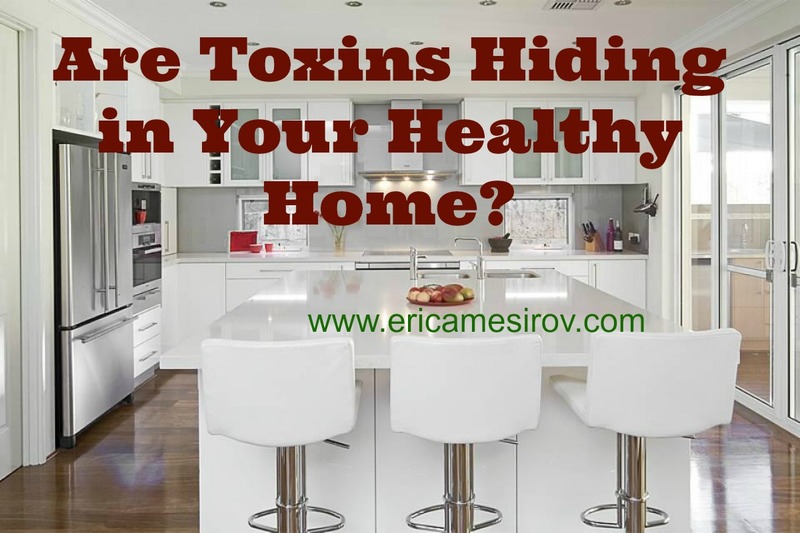 Are Toxins Hiding in your Healthy Home? - Eat. Lose. Gain. So, it is well known these days that being healthy takes more than just a clean diet. Chemicals are everywhere and many of us would like to lower our toxic load. This might mean doing things like using a Brita filter for our drinking water or buying all natural cleaning products. Yet, are there toxins hiding in our healthy home of which we are unaware? I’ll go over some of the most commonly overlooked perpetrators below. We are moving on our feet all day. Our feet pick up more than just dirt throughout our travels. We come into contact with all sorts of toxicity in our daily sojourns. This may be in the form of bacteria, animal waste products, cigarette butts, lawn chemicals or gasoline. When we walk into our homes, these toxins are left behind on everything our feet touch! Luckily this has an easy fix; take our shoes off at the front door. Now that wasn’t so difficult, was it? So we wouldn’t dream about drinking water if it didn’t come out of a bottle or pass through a filter. Yet many of us shower in the unfiltered stuff everyday. And here is the scary part. The heat from our showers can not only change the structure of chemical compounds like chlorine into something more toxic. Hot water can also release toxins into the air, making them easier to breathe in. A hot shower will open up skin’s pores, allowing chemicals to more easily absorb into the body. A shower water filter can be purchased for about $50 and is pretty easy to install. I just changed my filter to one from Aquasana (www.aquasana.com) and I can even feel the difference in my hair and skin. What an economical way to make a big health difference! We spend about 1/3 of our lives asleep. So it is a no-brainer that sleeping upon something toxic may eventually impact our health. Most mattresses are synthetic and composed of multiple chemicals like formaldehyde, flame retardants and polyurethane. Considering that we should be in bed for 50 plus hours a week, this can lead to tremendous chemical exposure, even for someone who otherwise leads a healthy lifestyle. The fix unfortunately isn’t so simple. An all-natural, organic mattress can run thousands of dollars, making it unaffordable for many. Still, it is important to be aware of the option. A less toxic mattress can be the answer for someone who is experiencing sensitivity symptoms that persist despite other forms of intervention. And someone with the finances to do so should definitely choose a non-toxic mattress. Quite frankly, we don’t want to know what Fluffy and Scooter are doing behind our backs. I saw my bouncy, too-cute poodle eat a dried turd recently, and I hesitate to think of what other trouble she finds in her day. Dogs especially live by the motto of “the more dirt the better”. If my description of what might be hiding on your shoes frightens you, I hate to mention what chemicals are hiding on our pets. I would say it is important to keep dogs out of the bed, but I understand how physically and emotionally difficult that is for most (including me). A regular bath schedule is a must, based on what is tolerable for the skin and health of the individual pet. Also, switching to all natural flee and tick medication is another good step. We love our pets, but we don’t need to love the chemicals that come with them! Carpets provide a double toxic wammy. Carpets are often composed of synthetic chemicals and then treated with toxic anti-stain solutions. Additionally, carpets absorb all the toxins that we track in from our day. In fact, our carpets may be the single largest form of toxicity in our homes! This can be frustrating because, as with mattresses, there isn’t a cheap solution. A first step would be to develop a regular, non-toxic cleaning schedule for carpets to remove the toxins we drag home. Just doing this will make a difference to air quality. If replacing synthetic carpets with hardwood floors or a natural fiber carpet is affordable, all the better. The reality is, someone living today is going to be exposed to toxic chemicals. It is unavoidable and there is no benefit to staying awake at night worrying about it. At the same time, it is important to be aware. The more we understand about our toxin exposure, the better choices we can make. Being healthy doesn’t mean being perfect. It means taking steps on a daily basis to promote health. This might involve becoming more vigilant about home cleaning. Or switching to more natural products for your pet. Or just simply educating yourself through posts like this. Minimizing toxin exposure from just one of these categories can lead to a healthier you! So, what changes can you make that will lead to a less toxic home? Yikes! Although I was aware of most of these, I truly have never given thought to bathing water! Yet our skin is our largest organ…and can absorb so much! I am going to check out that filter…thanks so much for the heads up! I know! I never thought of bathing water until a few years ago either. I actually used a shower filter for years, but only because the chlorine levels in our water supply will dry my hair to a crisp. Check a water filter out…hope you like it! HI Erica – this is a great list. We try and keep a clean house using non-toxic cleaning materials and even here in the country where we have pure well water I still use a Brita filter, but the one that impressed me the most was the shower – you think you’re cleaning yourself when actually you’re not. I use herbal vinegars when I bathe, I wonder if that will make a difference. Great post. You are so lucky to have pure well water Lenie, but I totally understand the desire to still use a Brita. I’ve never heard of using herbal vinegars to bathe, but if nothing else, I’m sure it is great to be using something so natural on your skin! Wow! I think I could be a cast study in what not to do for each of these. I feel like the guy in the old safety movies plugging the 15th appliance into the same electric socket. Haha Ken..that made me laugh. 🙂 Don’t feel too bad. I’m sure you are in good company. There is a YouTube video out there where the owner of a cat put a camera on its collar. The journey that cat took on a daily basis is amazing and kind of disgusting. Through sewers, down drains, chewing a rat, and then home to owners loving embrace. For me it’s the shoes. Leave the poop outside and not on my persian rugs thank you. I’ve never seen that video Tim, but I imagine it is kind of sobering to see what your pet does. Good for you for taking off your shoes. I actually hate being bothered with that when I get home, but it really does help. Just going to lay down and die now. Thanks Erica. Yikes! Makes me feel better about the new mattress I just bought. The salesman almost keeled over when I admitted we’d had our last one for 14 years! Wow! I’m surprised that your mattress wasn’t a lumpy mess after 10 years. You must be a very calm sleeper! Excellent tips and yep, had to smile when I came to your point about dogs in our bed. While it’s still dark and I’m already up working my little one is still snoring away curled up in the comforter on my bed and there’s no way I could evict her. 🙂 Thanks for the advice and inspiration. That is so cute Marquita! I totally succeeded in keeping my dog off our bed until she was 2 and then she insisted. She literally wouldn’t take no for an answer. I guess I’m a sucker too! Great tips! When we move next month I plan on doing a whole house water filter system. A neighbor showed us his and it’s really affordable. And I totally need a new mattress although it’s always had a mattress protector on it. My husband think it’s broke from being moved so much. I’m so jealous! I’ve always wanted a home water filter system but I live in an apartment. You’ll have to let me know how you like it! Excellent tips. You are right that today we are under toxic exposure. This is why many fatal diseases are appearing each day. I was aware of many but never thought about hot water coming in my bath tabs. You are right the heat can change chemical structure and can do any damage on our skin. Shower water was a surprise to me too when I first heard about it. I feel like even though taking precautionary steps for health doesn’t guarantee lack of disease, I like knowing I did all I could to be healthy. It’s disgusting that so many germs come into contact with us on a daily basis. Reading this post actually informed me of a few things I didn’t know. And I’m really going to be paying careful attention to my footwear now, too. No more walking all over the floors where I walk barefoot! I know Lorraine. It is so easy to remove your shoes but it is so easy to forget about what we are tracking in. The great thing Steve is that a stand alone shower filter will only take you about 5 minutes to set up! The more we try to make our living more conformable, and cheaper, the more hazards we create. I am to the point I want to dress like an astronaut so I am not contaminated by all the chemicals around us. We allow so much chemicals, just for the sake of convenience and comfort. Good point William. We need to remember that more convenient does not always mean better when it comes to our health. I need to work on getting some of the toxins out of my home. First on the list will be getting a new mattress. Good luck with the new mattress. I love buying a new mattress..right up until the bill comes! No, I don’t want to know what Fluffy and Scooter get into! Makes me glad I don’t have pets anymore! Great list and let’s not even get into what we run into when staying in hotels! Oh my gosh, no I don’t want to think of germs in hotels! I’ve been traumatized ever since I saw one of those behind the scenes investigations on the news. Oh my gosh. That is exactly why I keep my cat, Samuel, in the house. I’d hate to think of what he’d get into and drag into the house with him… intentionally and unintentionally. Yuck! I love the name Samuel for a cat! Yes, our little fur babies do get themselves into trouble. I have a dog, but she is always on leash so I witness her mischief and follow-up accordingly.